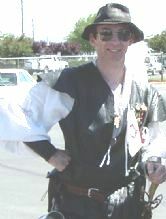 The article "Fencing" makes a pretty good bio... when I wrote it I was still doing fencing in the summers at the Midevial Fairs at Lake Tahoe. Interesting avocation. Article July 2006 New brake pads . . . Article January 2009 2008 Do they breed Subaru’s?